SAGGING FLOORS AND FOUNDATION PROBLEMS. Learn How Foundation Issues Like Sagging Floors Can Be A Problem. Repair Your Foundation. Does your house have sagging floors, cracks or other foundation problems? Those are signs of foundation trouble in Dallas and Fort Worth houses that have pier and beam or slab foundations. Generally, quality foundation repairs are required if you see cracking. 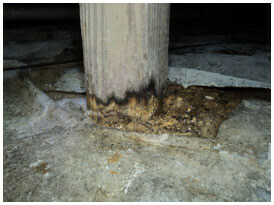 North Texas property owners who have pier and beam homes may notice that their floor dips, bends or bows. While homeowners with slab foundations do see cracking occur, they don’t notice their floors sagging. Instead, they notice their floors are not level. That’s because slabs are flush with the ground. It’s important to recognize the causes of foundation problems. If you have floors that creak or other issues that require solutions, call HD Foundations for pier and beam foundation repair service as soon as you see trouble. What Causes Floors To Bend, Sag Or Bow? Floor complications occur for a variety of reasons including (1) Foundation piers at the base of the slab or pier and beam foundation shifted and affected the other components supporting the house. (2) Foundation piers may move due to soil movement and cause foundation cracks (3) Excessive moisture in the vented crawlspace of pier and beam structures (4) Improperly prepared soil prior to construction or other factors. Learn more about uneven floors and foundation problems. Unstable foundation piers aren’t the only causes of these issues that must be resolved. 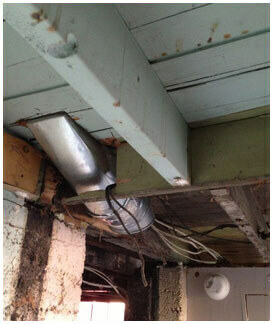 Joists and beams can form mold and mildew, rot and eventually weaken. When this happens, floors start to sag, the load bearing walls may sink and foundation cracks appear. In this case, foundation crack repair may be required. Individuals with pier and beam foundations often hear a squeaky sound when they walk around on their floors. Of course, if the sagging is minor, it could simply indicate the need to have shims under the house replaced, especially if it’s an older structure that was constructed using wooden shims. Repairing your pier and beam foundation is often the best solution. If you have noticed any changes in your house, call the contractors at HD Foundations. You may require floor joists or pier and beam foundation repair in order to stop cracks and sagging floors in your Fort Worth or Dallas house. Because buildings that are constructed using beams and piers often develop unique complications in their foundations, a contractor will need to inspect your house. By using concrete piers or steel piers, foundation contractors can stabilize your foundation and make your floors level. New wooden components may be required to fix your foundation and any fissures, too. Because water in crawlspaces of pier and beam homes pose all kinds of foundation issues and dangers, it warrants attention. You may discover that you need to repair your foundation right away. And remember: An abundance of mold under pier and beam structures can create health problems and attract insects, while sagging floors can present risks for elderly individuals, young children or people with mobility issues. It’s best to stop foundation trouble right away by having yours fixed. It’s important to note that slabs foundation cracks can be a problem in houses constructed with concrete slabs. That’s why it’s a good idea to study the six common problems with slab foundations, including crevices that need repair. It’s imperative that stubborn cracks are addressed. A qualified foundation repair contractor can perform a foundation inspection and determine exactly what should be done in order to resolve problems with your foundation, including areas of flooring that are sinking or clearly sagging. 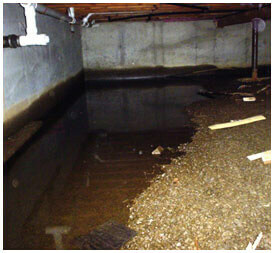 A foundation contractor can also fix any areas of your foundation that appear to be broken and in need of service. Remember, homes with cracked or sagging floors commonly require slab foundation repair, too. In order to save time and trouble, it’s best to end foundation trouble right away. To ensure that your structure is secure, why not schedule a free foundation inspection online today. Or, if you have problems you want solved, call HD Foundations right away.